This building located in the heart of Krakow offers fully furnished offices and collaborative coworking desks. Over 230 workstations are available and meeting rooms are easily bookable online to make your working day as convenient as possible. The building also offers communal areas including a kitchen with beverages courtesy of the centre and chillout spaces where you will find darts, a football table and playstation. A professional team provides mail handling, telephone answering and support with administrative tasks. In the local neighbourhood you will find restaurants, bars, cafes, supermarkets, hotels, 2 fitness centres and easy access to public transport. A centre that would suit both start up companies and experienced corporations. It offers a wide range of offices that come in a variety of different sizes and can be personalised to boost the portfolio of the business. 24 hour security is available with CCTV and intercom systems. Meeting rooms can be booked by the hour and well trained staff are there to ensure that the day to day running of the centre goes smoothly. High speed internet and day to day cleaning of the office are all supplied too. This brand new business park set to open its doors in August 2019, combines a selection of offices, residential opportunities and commercial facilities, creating a great business dynamic. Situated in Old Krakow, the campus creates a refreshing atmosphere for professionals. The centre is found beside two important transport hubs and an array of public transport links, connecting you to the rest of the city. A centre that would suit both start up companies and experienced corporations. It offers a wide range of offices that come in a variety of different sizes and can be personalised to boost the portfolio of the business. 24 hour security is available with CCTV and intercom systems. Meeting rooms can be booked by the hour and well trained staff are there to ensure that the day to day running of the centre goes smoothly. High speed internet and day to day cleaning of the office are all supplied too. Situated in one of the most business friendly parts of Krakow , the centre offers great versatility for business networking with numerous companies being close by. There are several bars and restaurants in the proximity all offering a good social life. Nearby is Krakov Glovny, a short five minute walk and the airport is only a thirty minute drive. 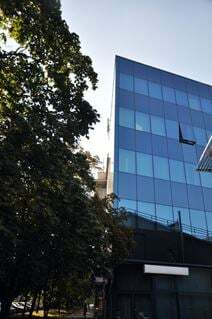 This business centre is opening soon in January 2019, found in the heart of Krakow. 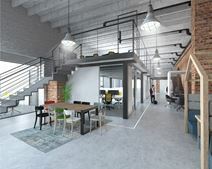 The centre will offer contemporary office solutions including fully serviced offices and collaborative coworking spaces. Your membership will not only allow you to work in a professional atmosphere but also benefit from communal spaces including the kitchen and chillout rooms where you will find a playstation, football table and darts. A friendly and approachable administration team will provide you with daily support including printing/copying, telephone answering and mail handling. The neighbourhood surrounding the centre is ideal, with plenty of hotels, restaurants, cafes and fast food options. The Vistula River is only a short walk away. 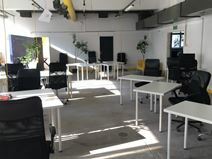 A-Class coworking office created with tech companies in mind. The office is conveniently located on Jozefitow Street, off Inwalidow Square.Historic building turned into spacious and bright space offers modern offices for small and medium companies looking for a high-quality place to work. Close by are several bars , restaurants and shops. A great place to bring clients to or socialise after work as well as be able to do day to day amenities. The nearest train station is only a twenty minute walk as well as there being a regular bus service. Major roads are quick to access and the city airport is just a twenty minute drive. This is a highly accessible business location, close to the train station and just 20 minutes by car from the airport. This business centre is based in a modern 5-storey building not far from the centre of Krakow. Close to many useful shops and restaurants. Surrounding the business centre are many different kinds of businesses including construction firms, housing developers and a large utilities company. The city is home to many multinational companies, with hi-tech and innovation sectors playing an important role in its economy. This central Krakow business centre offers a choice of coworking space or serviced offices, while conference rooms are also available upon request. It provides secretary services that will handle and manage visiting clients, as well as incoming mail and telephone calls. In a fast-growing part of town you will be just a few steps from all of Krakow's major technical Universities. It is comfortable environment in which to to start up and grow your business. Offering modern and beautifully equipped office spaces in the heart of Krakow, this beautiful business centre offers great options for entrepreneurs and professionals looking for a convenient and comfortable place to work. In this centre you can sit back and focus on your business and let a friendly team of admin staff take care of the little things for you. The building is accessible 24/7 and that is made easy with a great range of public transport right on your doorstep including the railway and buses. Located right in the heart of the city, this business space benefits from a range of local amenities within walking distance. The building has a stunning impression with full services and a range of much more such as daily cleaning, lifts and disabled facilities. The building is accessible 24/7, and offers excellent security systems, access control, as well as great IT infrastructure. Nearby you will also find a selection of hotels where your visitors and guests can stay. Situated in the heart of Krakow, this business centre provides a refreshing and inspiring environment for professionals. The building is modern and contemporary, offering 4,000 sqm of space, accommodating 675 work stations. Your membership includes a range of services including a reception, maintenance and meeting room access. The centre is surrounded by public transport links including buses, trains and trams. Located in a 17-storey tower, this business centre benefits from a strategic location between Krakow’s modern city centre and the historic Old Town district. The site features a multitude of facilities including conferencing, copy and printing provision, spacious meeting rooms, furnished and serviced interior workspaces, dedicated high speed internet and support staff available at all times. The Galeria Kazimierz shopping mall is only 10 minutes away to provide a large number of amenities. Minutes from the Old Town, and in the centre of Krakow this impressive 11-storey building, this centre hosts a number of fully equipped offices, private meeting rooms and a business lounge. A café is available on-site so you can grab a spot of lunch away from your desk. Close by, you can enjoy a range of public interest spots, including restaurants in which you can entertain and impress visiting executives. Situated in one of the fastest growing business areas of Krakow this operator specialises in co-working and provides an inspiring place for its tenants to work and collaborate. The old-style building provides a great modern and industrial mix while conference rooms, private offices and open spaces are also available. Within the immediate area, there is an abundance of excellent restaurants in which you can relax, enjoy and entertain clients in. This work space revolutionises flexibility. You can take your pick from both serviced spaces and co-working spaces, perfect for businesses of any background! Here, there is 24-hour security for your peace of mind, as well as unparalleled support services and facilities, such as administration support, mail-handling, meeting room access and more. This secure building also has meeting rooms for collaborative projects. Close by, there is an abundance of shops. It is conveniently close to the airport, with a vast selection of public transportation connections just outside! Located in the heart of Krakow, this business centre offers modern office solutions - including private offices, collaborative coworking spaces, conference and training rooms. Workspaces come fully equipped and ready to use, so you can start working immediately. You can also benefit this prestigious business address using virtual office options. Conference and training rooms can hold up to 10 people, with wifi and telephone lines to keep you connected. The neighbourhood offers range of amenities including cafes, restaurants, supermarkets and several pharmacies. Public carparks are within walking distance, making your commute easy. The distinctive work-spaces can be found in a new building, which includes a stylish reception and a patio area- ideal for forward thinking companies that value client satisfaction. All of the offices are furnished with modern, ergonomic office furniture and the layout and decor can be tailored to suit your needs. As well as a kitchen, there is a friendly reception team who will greet your clients and handle other admin duties such as mail and telephone answering. This office space is based in Krakow and is in walking distance from tram lines and near Krakow Plaszow train station and Krakow bus station.